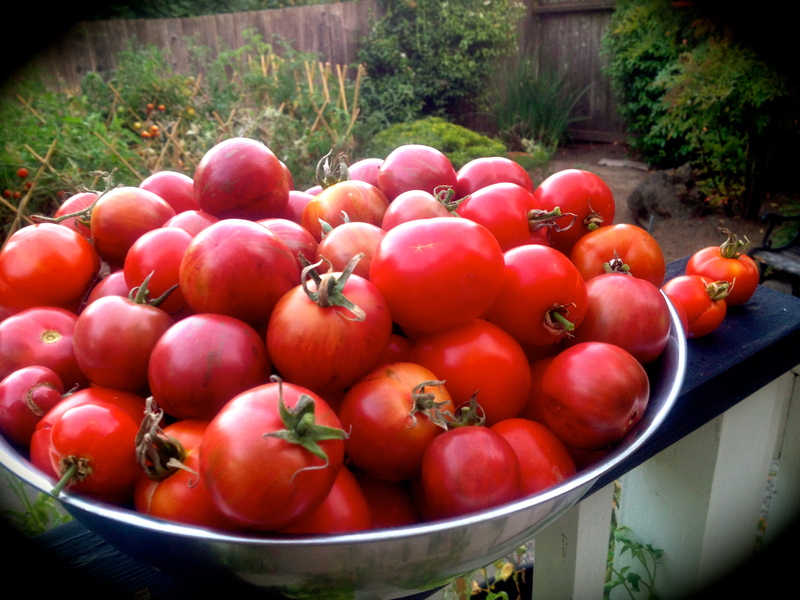 As the long, hot days of summer fold into early fall, I am busy reaping an overwhelming tomato harvest from my garden. Never in my wildest dreams did I image having this many tomatoes—which was short-sighted given I planted twenty-eight heirloom varietals started from last year’s saved seeds. Clearly my excitement at successfully sprouting all those plants clouded my good judgment. 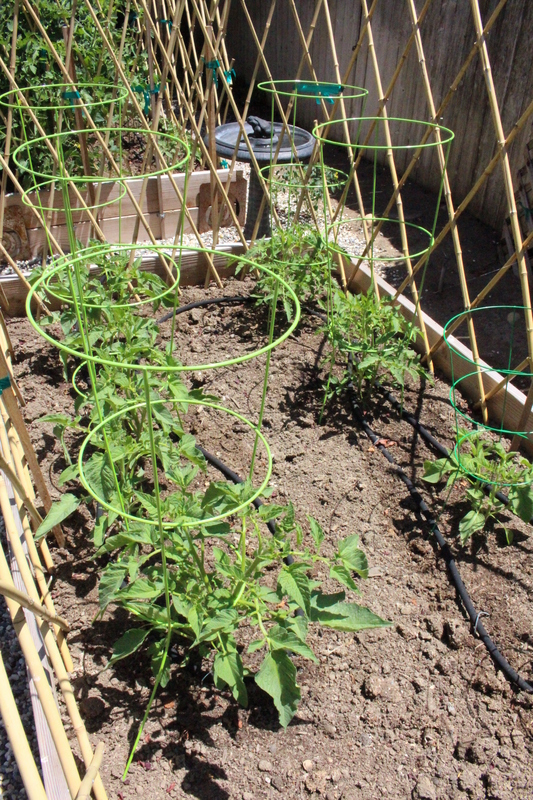 If history is any benchmark, our family of four could easily get our fill of tomatoes from three or four plants. Little did I know what I had set in motion. The tiny seedlings started out so civilized in my backyard planter boxes. As the weeks went by, they thrived on a tilled mixture of chicken poop, some worm castings, compost and very little water in light of California’s drought. Four months later, the boxes are a veritable jungle of fruit laden vines overflowing from all sides. 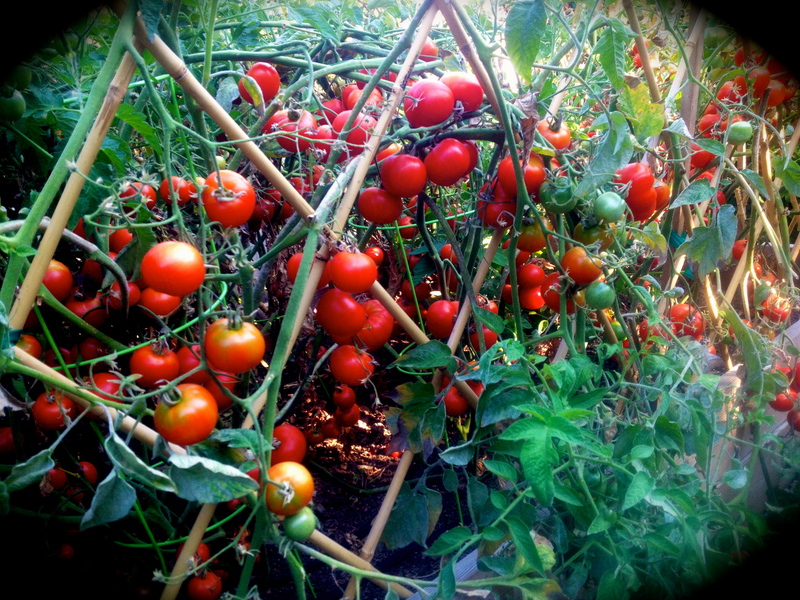 It’s a tomato insurgence out there—and right now they’re winning! No matter how many I pick each day, there is more to harvest the next. This windfall has me scrambling to prepare and preserve the season’s bounty. 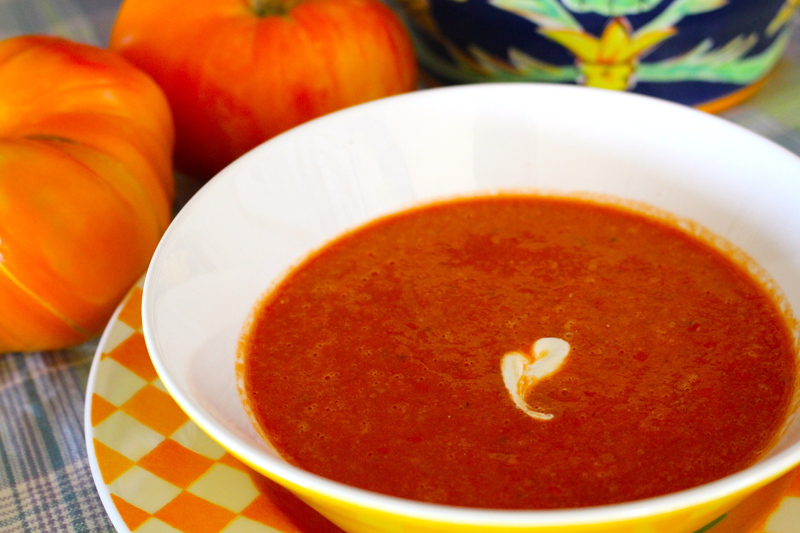 I’m dedicating this week’s recipe posts to “tomato madness”—in all its ripe, delicious glory—starting with this refreshing Chilled Tomato-Melon Soup. The combination of juicy, sun-ripened heirlooms blended with sweet summer melon is reminiscent of traditional gazpacho, only better. It’s a great light lunch or first-course before dinner on a hot day.
. 1/2 small melon, such as cantaloupe or honeydew, sliced & rind removed. 1. In a medium saucepan, combine the tomatoes with the olive oil, basil, garlic, and vinegar. Season with salt and pepper. Cook over low heat until hot but not boiling, about 10 minutes. If desired, pass the soup through the fine disk of a food mill into a medium bowl to remove the tomato seeds and skin. Chill the soup in the refrigerator or quick-chill it by setting the bowl in a larger bowl of ice water. 2. Working in batches, transfer the chilled tomato mixture into a food processor or blender and add melon. Blend until smooth. Place soup in a large container in the refrigerator until ready to serve. 3. Ladle the soup into bowls. Garnish with a dollop of creme fraiche, if desired, and serve. Great way to use up your bounty. Photos of your garden are beautiful. Interested to see what else you come up with. Overabundance always a mixed blessing – had the same issue with cucumbers a few years ago! Very nice recipe! Interested to see what else you do with them as I’m looking st ways to extend the tomato season by preserving them in some way, though canning not my strong suit (yet). I’ve had the same “problem” with cucumbers in the past! I couldn’t agree more Ray. Overabundance is indeed a mixed blessing. I also don’t have the time or inclination to can this year, so I’m focusing on other ways to use my harvest. Stay tuned!